In my previous posts I explained examples using a solution file to compile and debug .NET (mono) in Visual Studio Code. This post shows how to set up a task to run PHP using the build in Development Server of PHP. 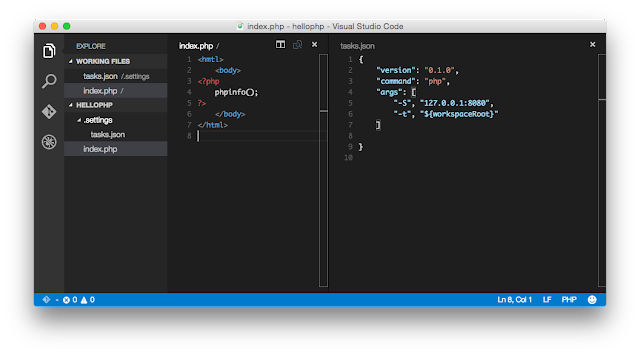 In Visual Studio Code open the folder with the php file(s). Then start the Command Palette and choose Configure Task Runner. Save the file and start the task from the Command Palette, choose Run Task and then 'php'. 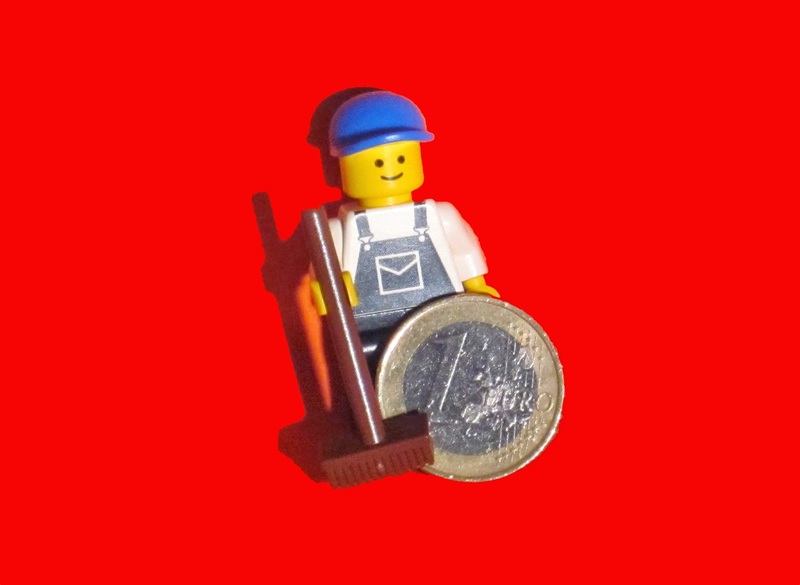 A PHP Development Server has been started on port 8080. Start your browser, go to http://127.0.0.1:8080 and you will see the website from the selected folder. At this moment it is not possible to debug PHP from Visual Studio Code. In my previous post I showed how to compile a .NET solution with Visual Studio Code with Mono on a Mac. 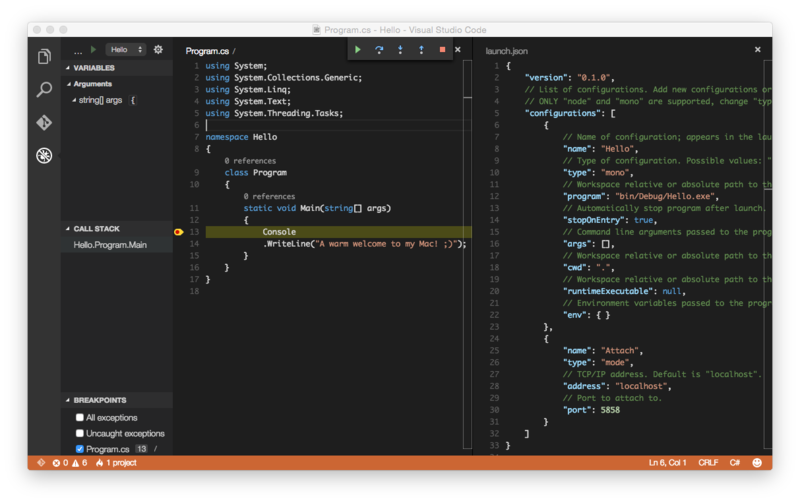 This post shows how to set up debugging with Visual Studio Code with Mono on a Mac. After the solution is build set a breakpoint in de code go to the 'Debug'-panel and press the green play-button in top. It will create a file named launch.json. This file is configured for node, but with some minor adjustments it can work for mono as well. // TCP/IP address. Default is "localhost". // Port to attach to. Save the file and you are ready to go!